**CONTEST** Would you like FREE wedding invitations?? 1. Your wedding must be in 2009. 2. Order must not exceed $200 including shipping/tax. Since we discount most of our invitations either 35% to 40% we will be going by the total on your order once the discount is calculated. So the final price at checkout of the shopping cart. This way you are still getting the discount too :) If over then you will be responsible for the difference. If you are under we will NOT refund you the difference. Depending on what line you would order from if you win the price should get you approximately 100 invitations, printed flaps, respond cards and reception cards to give you a basic idea of merchandise value. 3. Order can't be shipped outside of US. 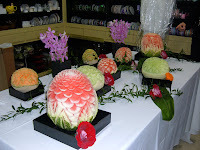 So start browsing the website to see what invitations you might like. Entries must be received by 4/30/09. Send a word document to yourethebride97@aol.com with your name, email, phone number and the city you live in along with your essay so we can identify you. 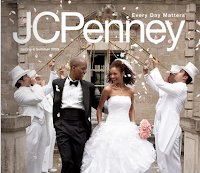 Contest is open to Metro Detroit brides as well as brides all over the US. Pass the contest info along to all your friends that are getting married for their chance to win too! 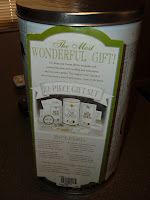 Winner will be notified and posted on blog by May 6. Good luck! Yesterday Marcie from http://www.cybercitycoffee.com/ and myself went to their first ever FREE Bridal Expo sponsored by Gerych's in Fenton. 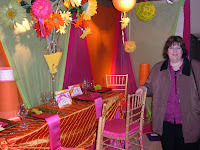 I was invited by Carrie from http://www.outdooreventservices.com/ She has the fanciest porta potties I've ever seen! They are restrooms in a trailer complete with a sink and several separate stauls. Next time your planning an outdoor event you must give her a call. What a great day it was! 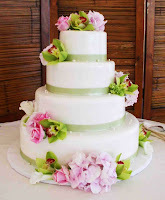 Gerych's is a full-service florist and event rental company located in Fenton, MI. 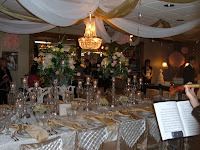 They featured 4 different wedding receptions complete with a bride, table decor, cake and food. Italian Garden, Louis XIV, Miami Beach and Tuscan Vineyard were the themes. My favorite was the Miami Beach! 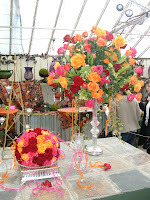 They had lots of vendors there including a DJ, Band, Winery, Music and a few Photographers and Caterers. We got to stop by each booth and sample delicious treats, food and wine. Marcie and I agreed that the Coldstone Creamery booth was our favorite! Who doesn't love ice cream? lol Later they had a fashion show that featured beautiful wedding and bridesmaid dresses. Even the men were dressed in tuxes! 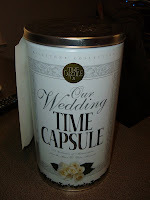 They had lots of door prizes and I even won a wedding time capsule that I will be giving to one of my lucky brides! Enjoy the pics I took from the event. Lee Thomas Films Giveaway!! Check it out!! You could Win!! 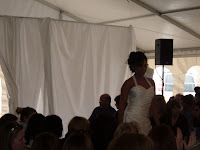 The Bridal "Stimulus Package" Giveaway !! We all know the economy hasn't been the greatest - especially here in Michigan. No matter where you turn, it's hitting somebody hard. So, we decided to do our share to try to help out a little. It's our version of a Bridal "Stimulus Package", if you will. So, what exactly are we doing? What are we giving away? One lucky couple will win your choice of either; 2 extra hours of coverage on your wedding day, or... 1 extra hour of coverage and 2nd camera coverage at your reception. Choose what works best for you! That's over $800 worth of savings! Sound cool? Great, here are the rules...1. Your wedding must take place in 2009.2. Your wedding must take place in Michigan.3. You must book at least 8 hours of coverage.4. You must book by April 30, 2009.That's it... then just sit back and see if you're the winner! Pretty simple, huh?I will be announcing the winner right here on my blog on May 1st. So, if you haven't booked yet (or know someone who's getting married that hasn't booked their videographer yet), now's not the time to hide under a paper bag! Let's go - what are you waiting for...? This week I sold this invitation twice! One to a Chicago bride and the other to a local Livonia bride. 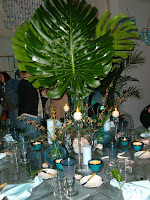 Both had different color schemes but thought it was the perfect invite to set the tone for their event. 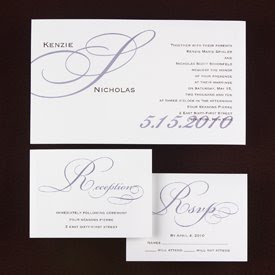 The Chicago bride chose a mix of mango and fuschia colors with slate ink for the main text copy. The Livonia bride went with Passion and Mocha ink. Jinny's are on the way to her and Nicole's are in production. Stay tuned for your tracking number. Thanks for your orders it was nice working with both of you!